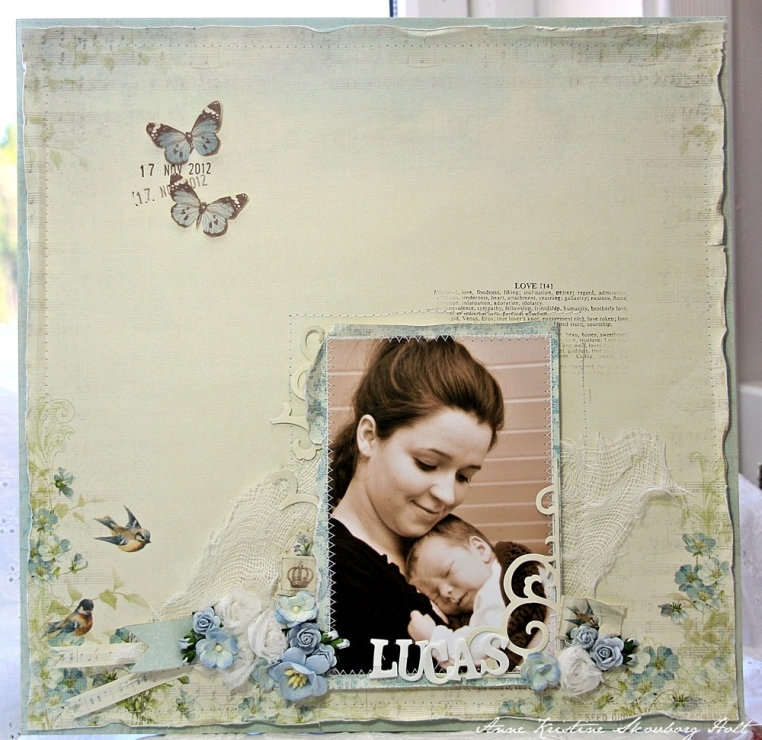 Hi everyone….today I have a layout to show you made with beautiful papers from Vintage Garden. I really LOVE these papers….so many lovely details and colors. Thanks for stopping by, wish you a great day. The tenderness you can see on the picture for your little one , I feel this tenderness trough your creation!